« Build it…and They Will Export! As part of President Obama’s official delegation to Brasilia, Brazil March 18-19, U.S. Commerce Secretary Gary Locke co-chaired the sixth meeting of the U.S.-Brazil CEO Forum. Key issues discussed at this meeting included furthering bilateral and economic ties at the completion of a U.S.-Brazil Bilateral Tax Treaty, clean energy cooperation and renewable technologies, investment in education, and sustainable infrastructure. In addition, the Forum was pleased to announce successful action on prior recommendations including the completion of a Trade and Investment Framework Agreement, signing of an Open Skies MOU and extension of business and tourist visas from five to ten years. We are now accepting applications for the 2011-2013 term of the Forum. The 10 U.S. CEOs serve two-year terms, and are selected from respondents to a joint Commerce-White House Federal Register notice for applicants to the U.S. section of the Forum. Companies interested in participating in the Forum should view the Federal Register notice at http://edocket.access.gpo.gov/2011/2011-5073.htm for information on how to apply. 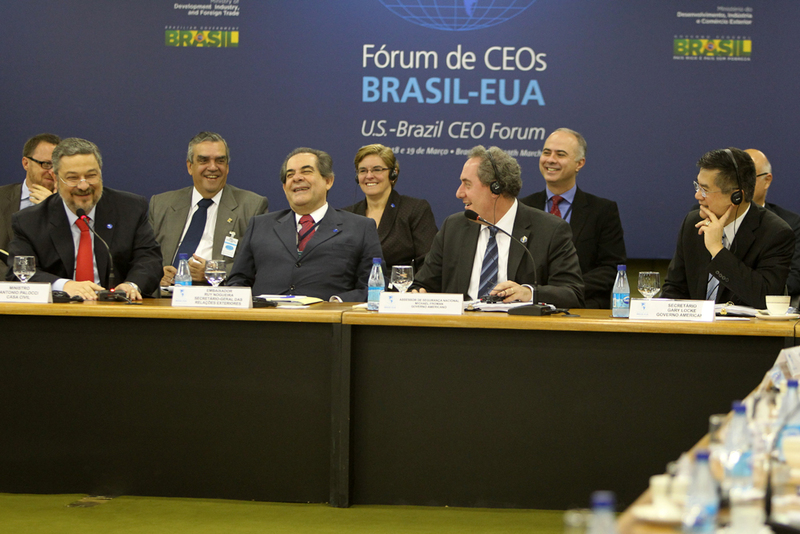 The Forum, made up of 20 CEOs from the United States and Brazil, meets twice a year to make recommendations to the two governments on ways to strengthen the U.S.-Brazil economic relationship. Since its inception in 2007, the Forum’s recommendations have advanced discussions between the United States and Brazilian governments on important issues such as visa reform, customs procedures, education, energy, trade facilitation, and infrastructure. With a potential market of 195 million consumers, and per capita incomes forecasted to grow at an average rate of six percent during the next several years, Brazil offers tremendous opportunities to U.S. exporters of goods and services.